Trinity Stairs offers a variety of complementary functional and decorative iron products. We design and manufacture many of our iron products in our Frisco, Texas facility. Utilizing wood and iron combinations and specialty paint finishes provides distinctive design options. 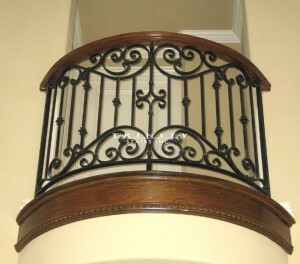 Iron balconies, exterior gates and fire place screens are available for indoor or outdoor purposes. The addition of iron products not only enhances the aesthetic value of your home, but in many instances increases the value of your home.